Register Now for July Kids’ Circus Week! ≈ Comments Off on Register Now for July Kids’ Circus Week! Monday-Friday, July 20-24, 9-3pm. Trumansburg Circus Kids will play hard all week, discover hidden talents, create brilliant new circus inventions together, and wind up the week with a BIG show for friends and family! Get ready for Partner Acrobatics-Juggling-Poi-Diabolo-Group Games-Flying Yoga-Hoops-Art! The group will draw on many circus traditions, including CircusYoga. 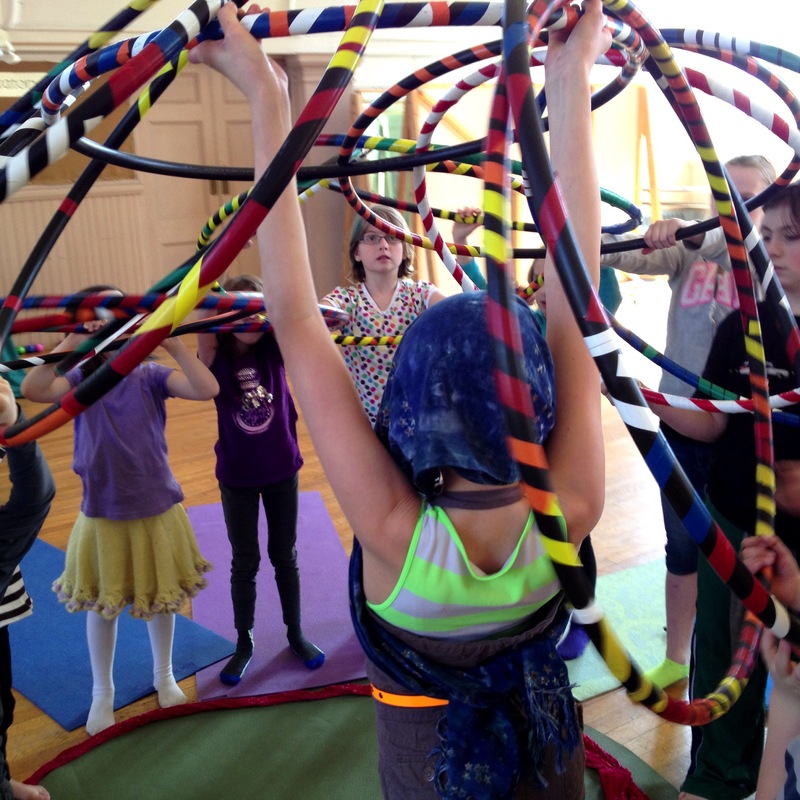 CircusYoga is an innovative practice that powerfully unites individuals, families and communities through a creative mix of circus, yoga and play! CIRCUS is a captivating culture of inclusion and celebration that spotlights how remarkable we are. YOGA is an ancient science that teaches us how to be powerful in our bodies and minds. PLAY is the practice where we embrace the unexpected, and strengthen our ability to engage, adapt and connect. All of this will come together in FUN–not a speck of prior experience needed! Teacher: Amy Cohen, CircusYoga-trained instructor, working with support from Circus Culture, Ithaca’s very own, brand-new circus school! For registration info, use this form, but please also e-mail corivogel@gmail.com or phone 607-387-3717. Best price before July 1!